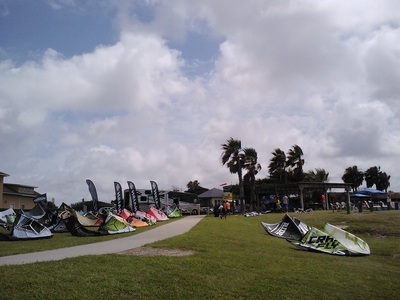 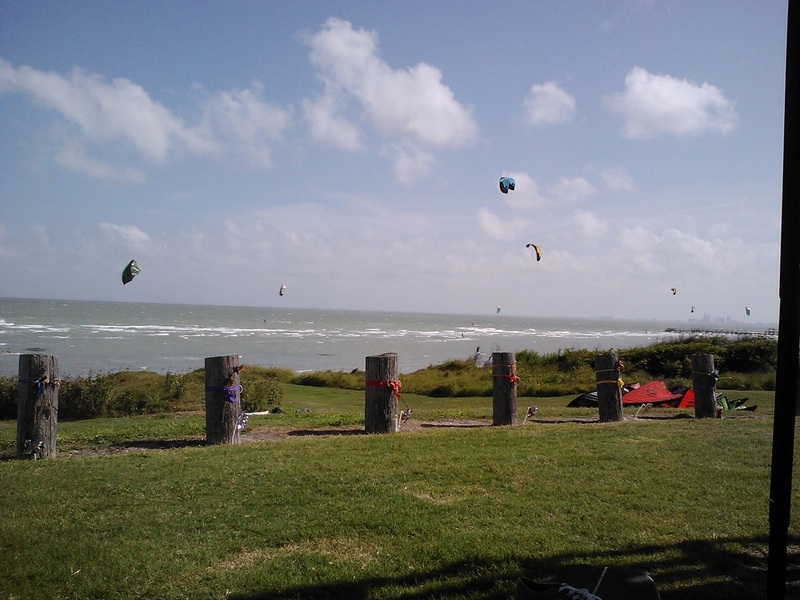 Wildcat Park is a local kite launch located on the Corpus Christi Bay in Portland, TX and may be the best known launch in the South Texas area. SE and ESE thermal winds are best here during the spring and summer usually coming on in the early afternoon and continue blowing into the evening. Sandy bottom with shallow flat water area close to shore and small chop and waves (1-3 ft) further out. 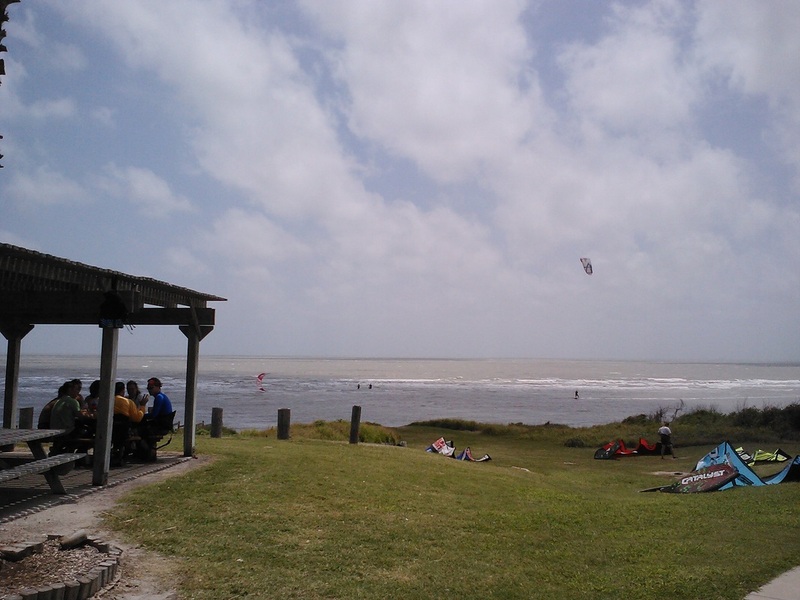 Watch out for shallow sandbars and underwater shells and debris as well as rip-rap on the shore. 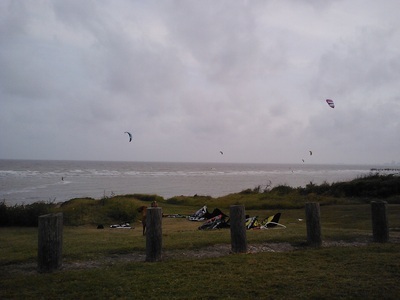 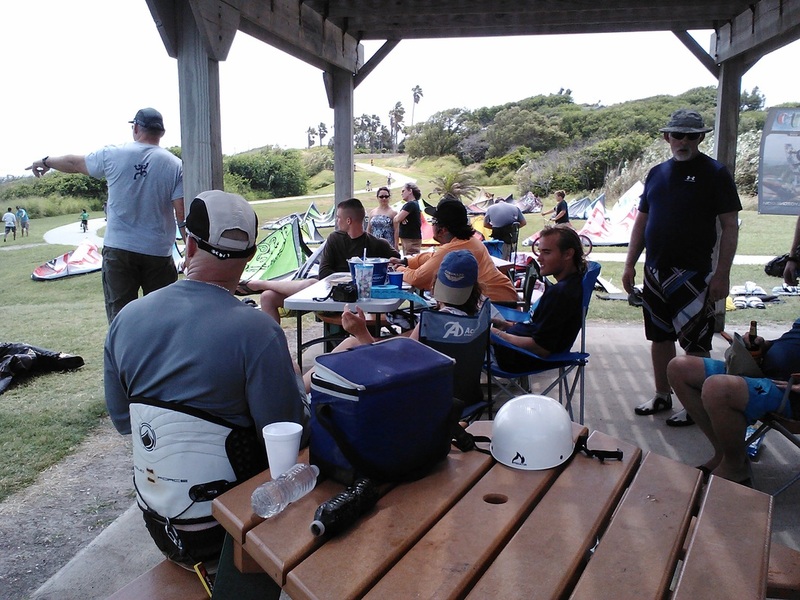 You will always find a group of local riders here anytime there is wind, with any windy weekend becoming very busy to the point of overcrowding at times. 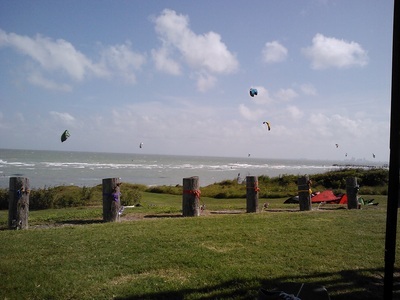 The park has a grassy launch area, gazebo, and a fresh water shower available as well as a asphalt parking lot.